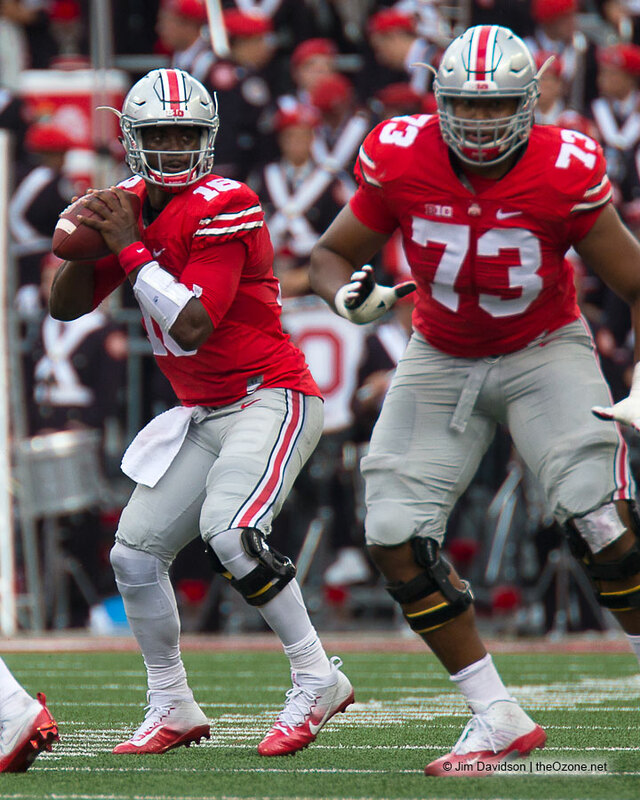 2016 Season (Freshman): Has started all 12 games as a true frehman … helped Ohio State set a school record with 776 yards of total offense in the win over Bowling Green, becoming the first true freshman to start an opener on the offensive line since Orlando Pace in 1994 … part of an offensive line that has helped Ohio State lead the Big Ten in total offense. Overview: Michael Jordan enrolled at Ohio State in January 2016 and went through spring drills with the team … he was impressive, earning practice time with the No. 1 offensive line midway through drills and sticking with the unit until through the spring game … he enters fall camp as a viable candidate for one of two open positions along the line … several months prior to his spring exploits with the Buckeyes, Jordan was an Associated Press Division 1-2 Michigan all-state pick, a first-team Detroit Free Press all-state selection and a member of the Free Press “dream team” offense after a senior campaign in which he averaged six pancake blocks per game – according to published reports – and did not allow a sack … playing for coach Mike Sawchuck, Jordan was a consensus 4-star prospect (Rivals, 247Sports, Scout and ESPN) with Top 10 offensive tackle rankings nationally by Rivals (No. 7) and Scout (No. 10) … he was named to the All-USA Today second-team offense … also wrestled and competed in track and field … is the son of Jacquie and K. Michael Jordan.